For all the talk of multitasking countertop appliances, there's something reassuring about a great toaster. It does one thing and does it really well, consistently serving up a beautifully browned slice of bread. Testers at Consumer Reports toast hundreds of slices of bread to find the best and worst two-slice and four-slice models, scoring every slice against an industry-standard toast-color chart. It includes nine colors, ranging from very light to burnt. "While set to medium, each toaster is judged on how well it makes a single slice of toast and a full batch—two or four slices— depending on the model," says Cindy Fisher, who oversees CR's toaster tests. "With the best models, results match the evenly browned medium-toast on the toast-color chart." 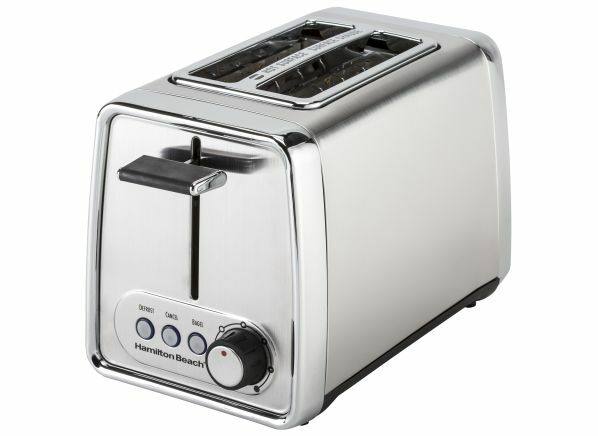 Of the 80-plus toasters in our ratings, about 20 earn an Excellent rating for toasting one slice. Even fewer got top marks for a single slice, a full batch, and color range. Here are reviews of six toasters that belong in that rarefied group, listed in alphabetical order. CR's take: Denser than regular bread, gluten-free bread doesn't toast quite the same. Bella picked up on this and added a gluten-free setting to the two-slice Bella Pro Series 90062. "It works as promised, turning out nicely browned toast on both sides, and you no longer have to guess when it's done," says CR test engineer Aminata Ndiaye. As for regular bread, the Bella earns an Excellent rating in our time tests, making it one of the fastest two-slice models in our ratings. Overall, it combines top performance and a reasonable price, making it a CR Best Buy. CR's take: Stylish and stainless, the two-slice Breville Bit More BTA720XL garners an Excellent rating in our ease-of-use tests, meaning the controls are clearly presented and easy to set. 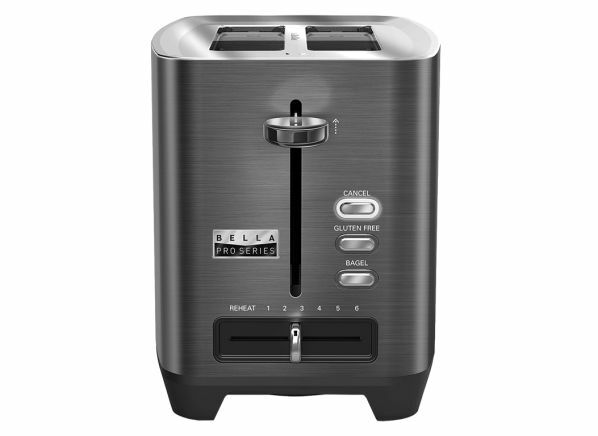 This top-scoring toaster has wide slots and settings for cut bagels and frozen bread; it defrosts the bread, then toasts. And if your toast turns out too light? Press the button labeled "A Bit More" and it will toast a little longer. CR's take: The Frigidaire Professional 4-Slice Wide Slots FPTT04D7MS gives you so-called pro styling—stainless steel and solid-looking. This toaster earns an Excellent rating in our color-range tests, popping up toast as you like it. Features include wide slots, and settings for bagels, defrost, and even reheat—in case your toast cooled while you were checking email and you want to warm it up. 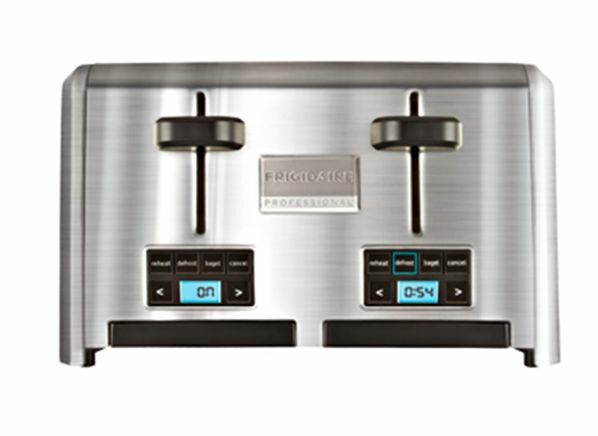 CR's take: Its performance and price make the Hamilton Beach 2-slice Modern Chrome 22791 a CR Best buy. And this toaster is sleek and attractive, unlike some models in this price range. It earns an Excellent rating in our toasting-time tests. Features include wide slots, along with settings for bagels and defrosting. 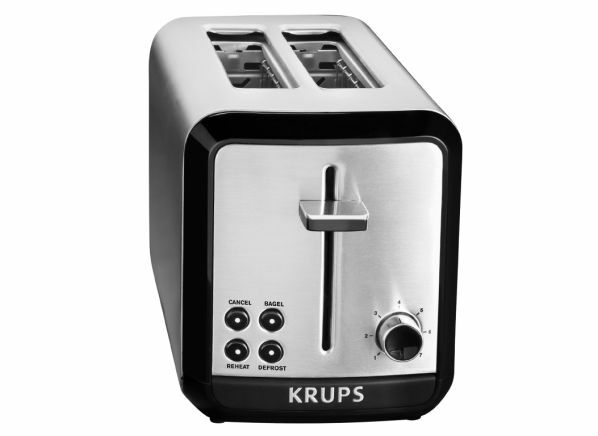 CR's take: Not only does the Krups Savoy KH311050 turn out terrific toast, but it also has a design that makes cleaning up easier than many other toasters we've tested. That's because the Krup's exterior is smooth, with few nooks and crannies where crumbs can collect, and the crumb tray is easy to pull out. As for features, this toaster has settings for bagels, defrosting, and 30-second reheating. 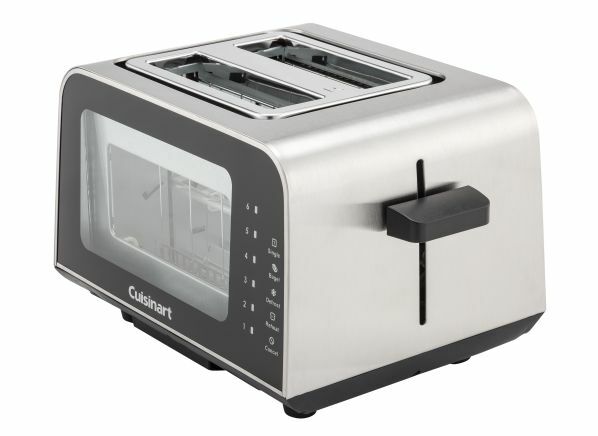 There are more than 30 brands in our toaster ratings, including All-Clad, KitchenAid, Magic Chef, Oster, Pioneer Woman, Russell Hobbs, and Smeg. Prices range from $16 to $400.